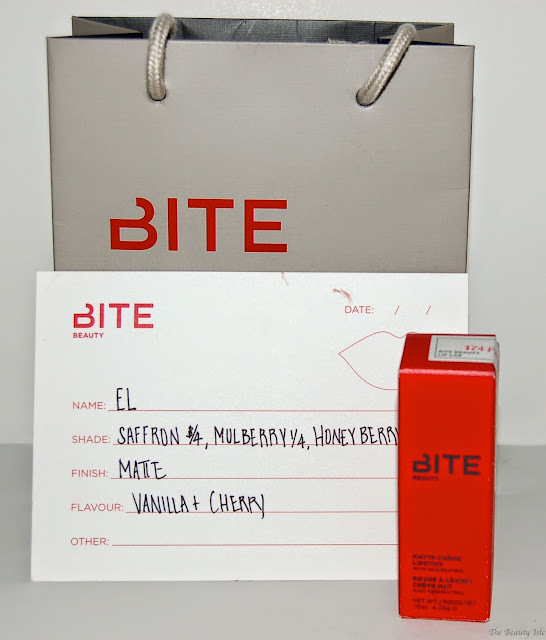 Today I'd like to tell you about my experience at the Bite Beauty Lip Lab. While we were in NYC for IMATS, Tanya and I decided that we'd hit up the Bite Beauty Lip Lab. The Bite Beauty Lip Lab is a "lab" of sorts where you can create your very own shade of Bite lipstick. 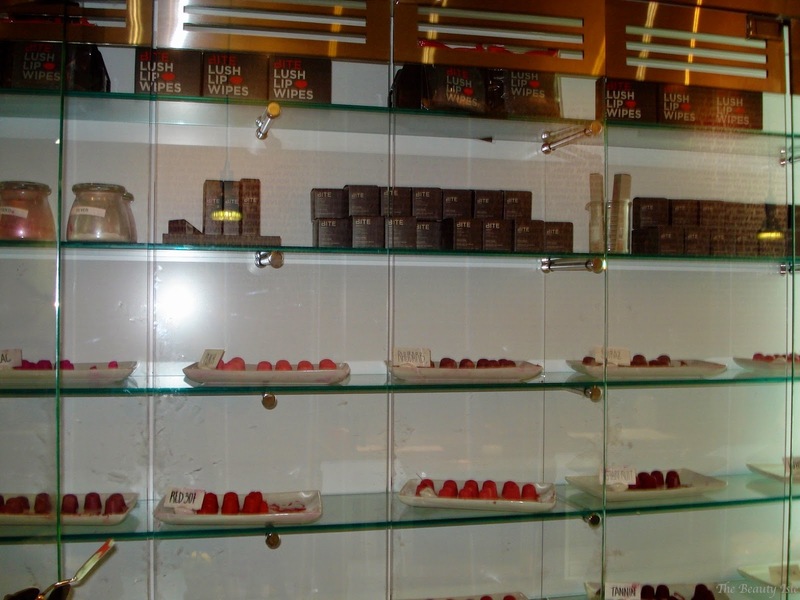 Upon arrival, the first thing you do is sit down with your Lip Lab Artist for a consultation. The first decision you must make is what you would like the finish of your lipstick to be. The choices are creme, matte, sheer, and deluxe. All finishes are $36 besides the deluxe which is $48. I chose the matte finish which is very opaque but not drying. Next the Lip Lab Artist discusses your color options, they can pretty much create any color. 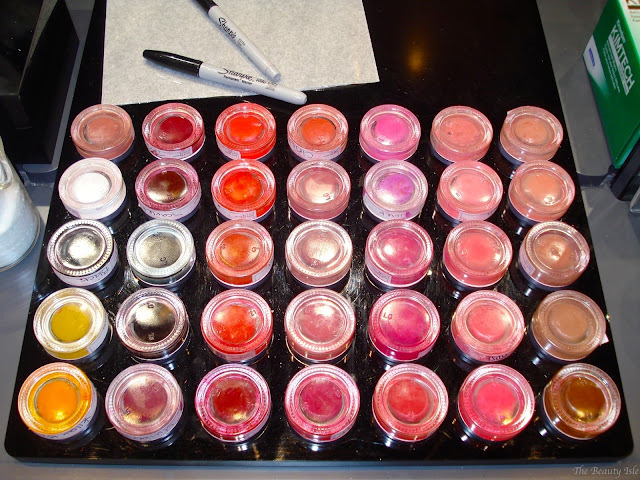 I just gave her ideas of the shade that I wanted and she created a bunch of options by mixing the color pots shown below. 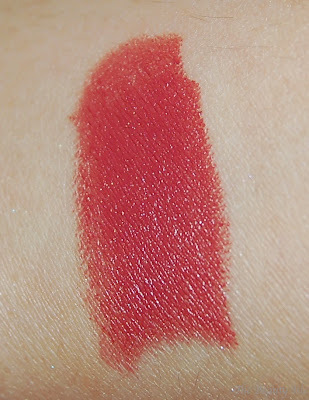 I told her that I wanted a wearable/mauve "my lips but better" shade but also something a bit unique. Below are the color options we came up with and my final lipstick. 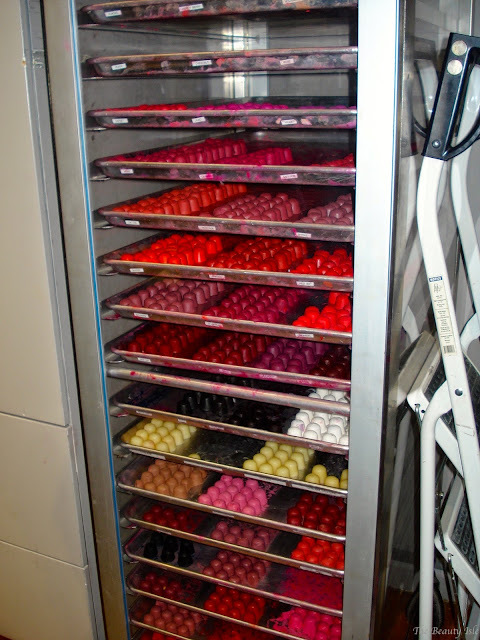 After mixing one option, you tell your Artist whether you'd like it to be more red, brown, pink, etc. Then she can go ahead and mix you a new color. 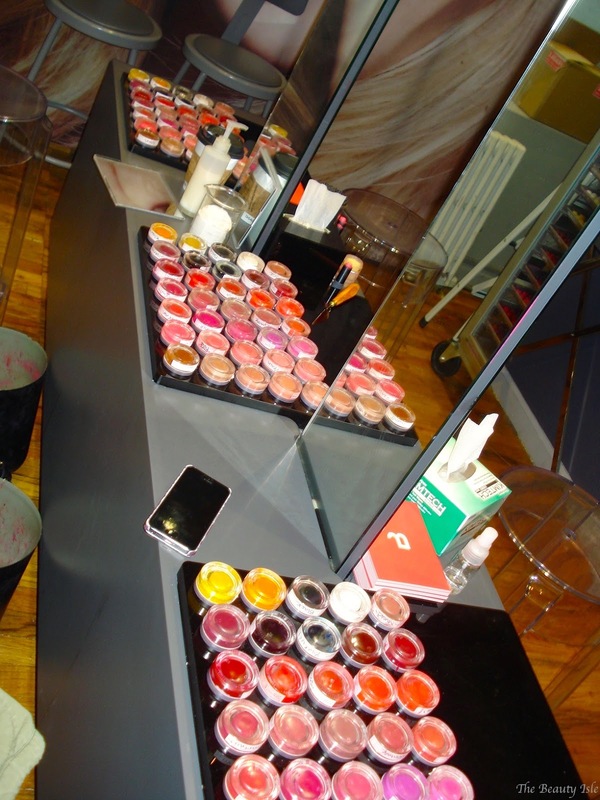 They will do this for you until you are totally happy with your color! 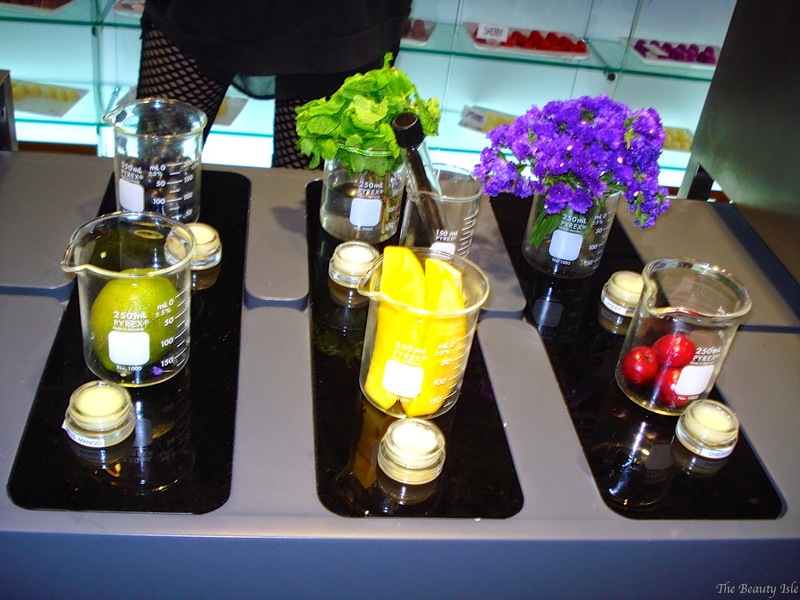 Once you lock down your color, you chose a scent. The choices are any combination of cherry, mint, vanilla, mango, lavender, lemon, and wild berries. I chose vanilla and cherry. The only other decision you must make is the shape of the cap of your lipstick tube. I chose a regular tube slanted shape but they have 3 other shapes which are modeled after the different ways that women wear down their lipsticks. Pretty clever! Next your Lip Lab Artist mixes up your custom lipstick, melts it down and gives it a spin in a centrifuge. 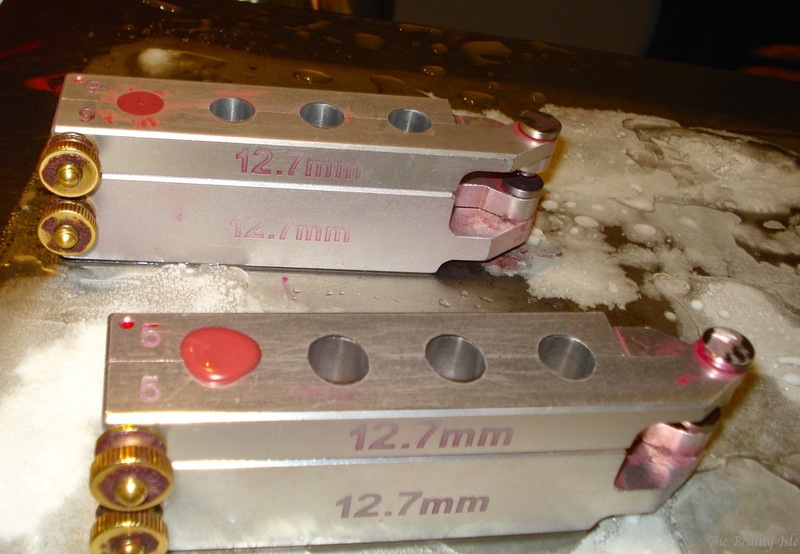 The concoction is then placed into a lipstick bullet shaped mold and cooled on ice until it is solid. 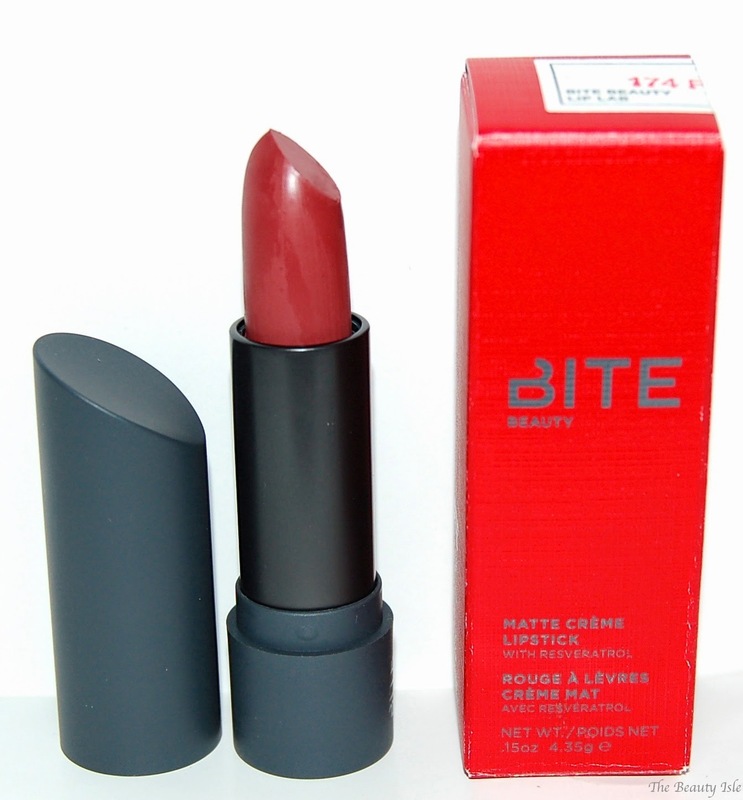 The solid lipstick is then pushed into an empty lipstick tube. 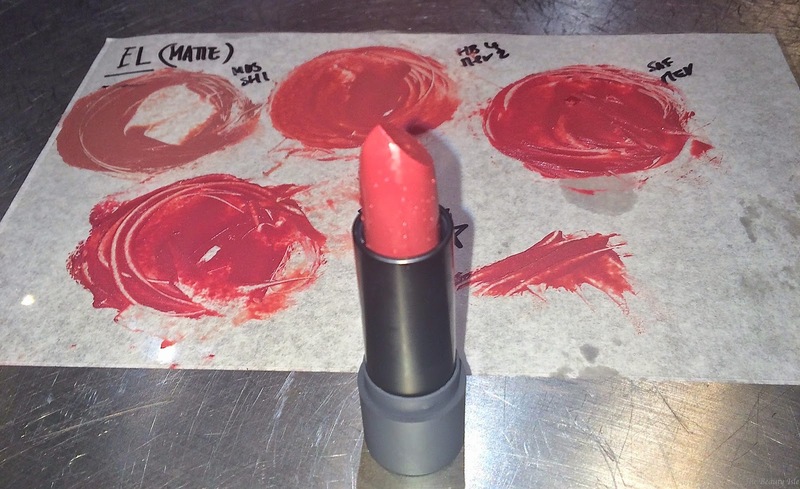 And voila, your custom lipstick is ready! You are also given a card that lists the color "ingredients" that went into creating your custom color, in case you ever want to go back and re-create the exact same shade. 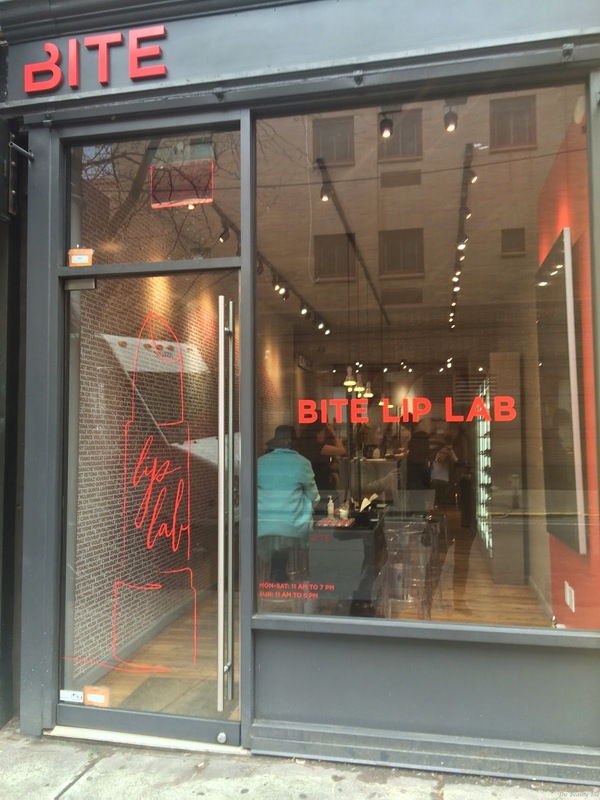 Have you been to the Bite Lip Lab?